The effect of pH on the electrochemical behaviour and passive film composition of 316L stainless steel in alkaline solutions was studied using electrochemical measurements and a surface analysis method. The critical pH of 12.5 was found for the conversion from pitting corrosion to the oxygen evolution reaction (OER). OER was kinetically faster than pitting corrosion when both reactions could occur, and OER could postpone pitting corrosion. This resulted in pitting being initiated during the reversing scan in the cyclic polarization at the critical pH. According to the X-ray photoelectron spectroscopy analysis, the content of Cr and Mo decreased with pH, while Fe content increased. This induced the degradation of the passive film, which resulted in the higher passive current densities under more alkaline conditions. 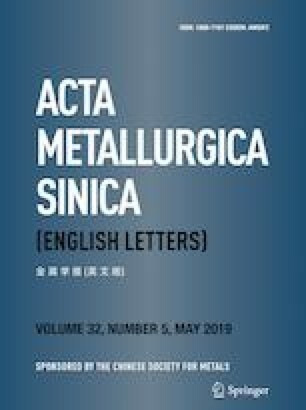 The selective dissolution of Mo at high pH was found, which demonstrated that the addition of Mo in austenitic stainless steels might not be beneficial to the corrosion resistance of 316L in strong alkaline solutions. This work was supported by the technology projects of State Grid Corporation (No. 52110417000N) and the National Science and Technology Major Project (No. 2016ZX05028-004).